The Mattie Rhodes Art Gallery is excited to announce the 2nd Annual CHICANO VOICE exhibition. Primitivo “Tivo” Garcia is one of the exceptional individuals who demonstrated selfless commitment over the course of his lifetime. The Chicano Voice Exhibit which opens Friday, May 5, 2017 will give the general public an opportunity to recognize those who have played a vital role in positive change in our Hispanic community while celebrating the diversity of Kansas City. DID YOU KNOW Primitivo Garcia? Primitivo Garcia, who was 23 at the time, was shot outside of Westport High School in 1967 when he came to the aid of his teacher. Primitivo Garcia World Language School was dedicated in 1993 and was the first school in the Kansas City area to be named after a person of Hispanic origin. 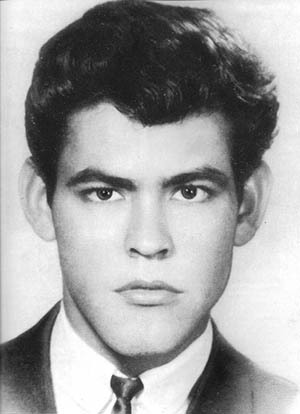 On November 15, 1967, Primitivo Garcia, a 23-year-old Mexican immigrant who was enrolled in citizenship classes at Westport High School, was shot in the stomach while defending his pregnant naturalization teacher from being attacked by a teenage gang. Primitivo died from his wounds 13 days later. The school, now named Primitivo Garcia Elementary School, serves students in grades pre-kindergarten through sixth grade. 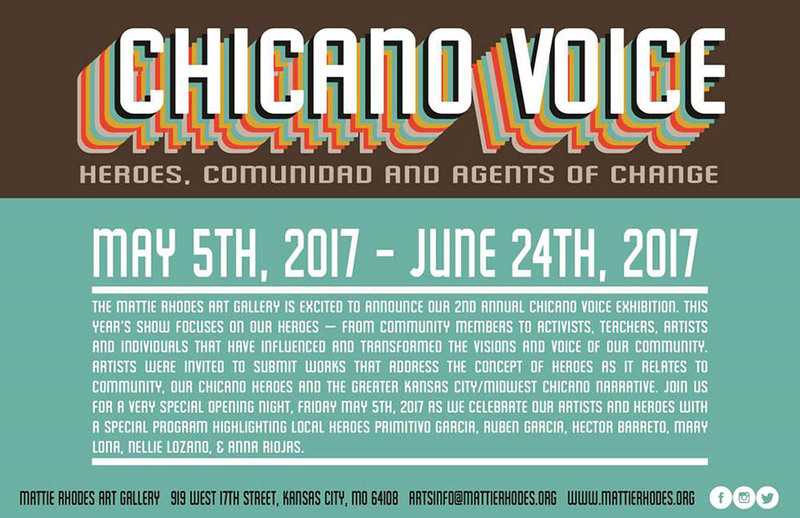 The 2nd Annual CHICANO VOICE exhibition running May 5, 2017 through June 24, 2017. This year’s exhibit focuses on local heroes that have influenced and transformed the vision and voice of our community. The First Friday opening is Friday, May 5, 2017 at 6pm at the Gallery, 919 W. 17th Street, KCMO 64108 and is free and open to the public.